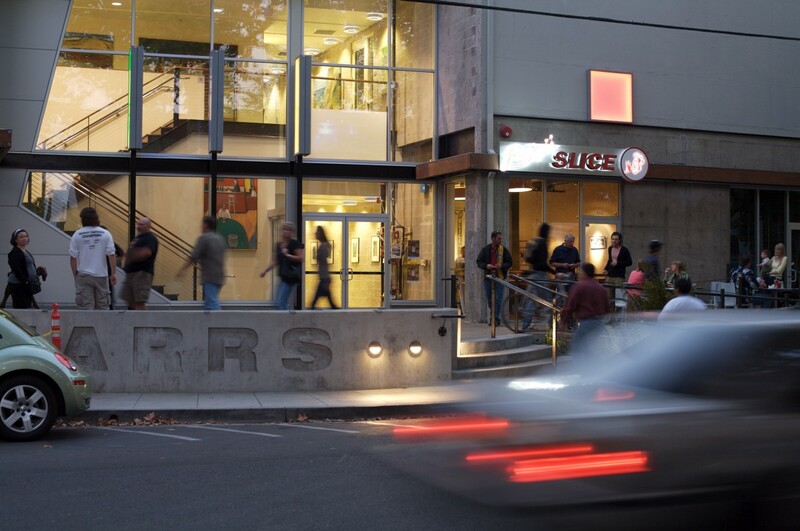 How do you create a mixed-use urban destination that’s daring, artistic, and successful? 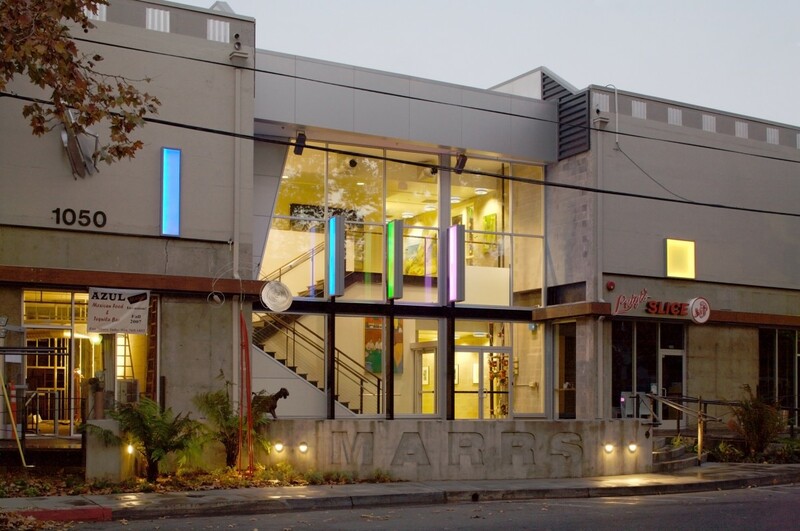 MARRS’s tagline is, “It’s too early to go to bed!” This urban infill project transformed a 52,000-square-foot 1940s concrete warehouse into a mixed-use showcase, with boutique retail on the ground floor and office space on the second. 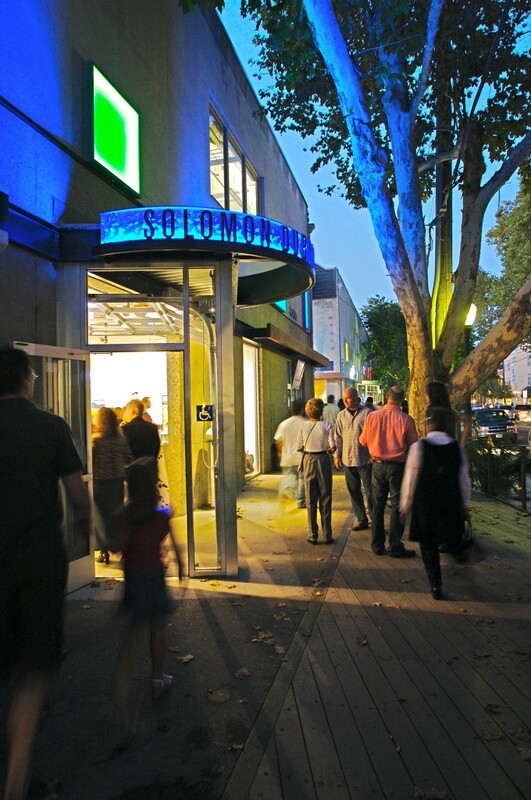 The client’s vision was to foster a tenant mix of art galleries, restaurants and bars, and boutique stores that would collectively create an active retail destination in the heart of midtown Sacramento. 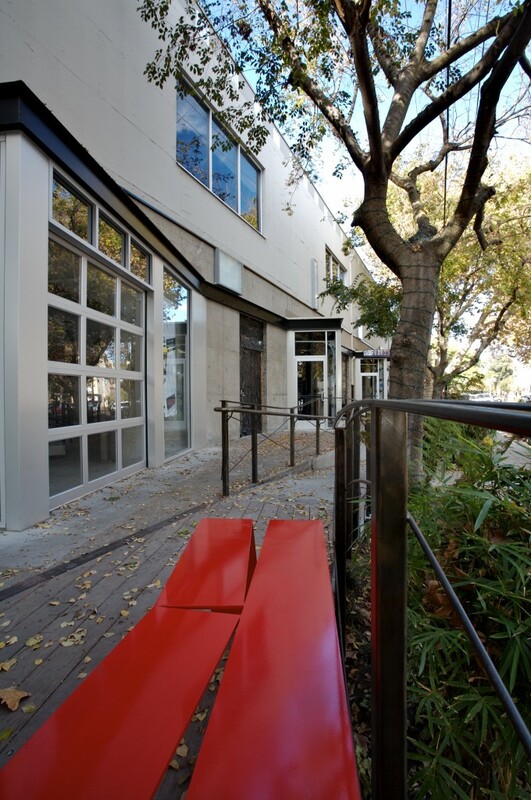 RMW provided exterior and interior renovation of the warehouse. 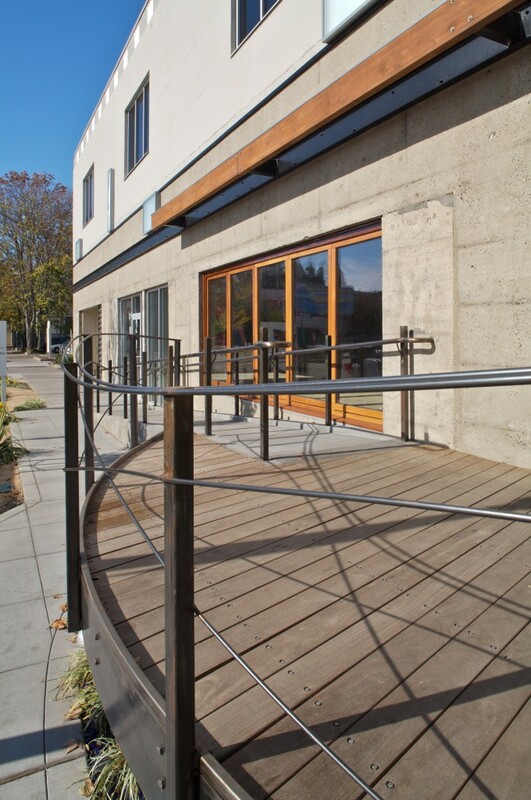 The building’s exterior was sandblasted to expose natural concrete. 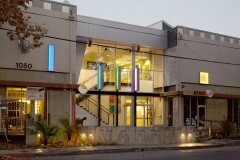 Aluminum, wood, and glass details accentuate the warehouse’s strong, honest structure, while color-changing LEDs create an eye-catching counterpoint. Anyone involved with display stand hire systems will be envious. 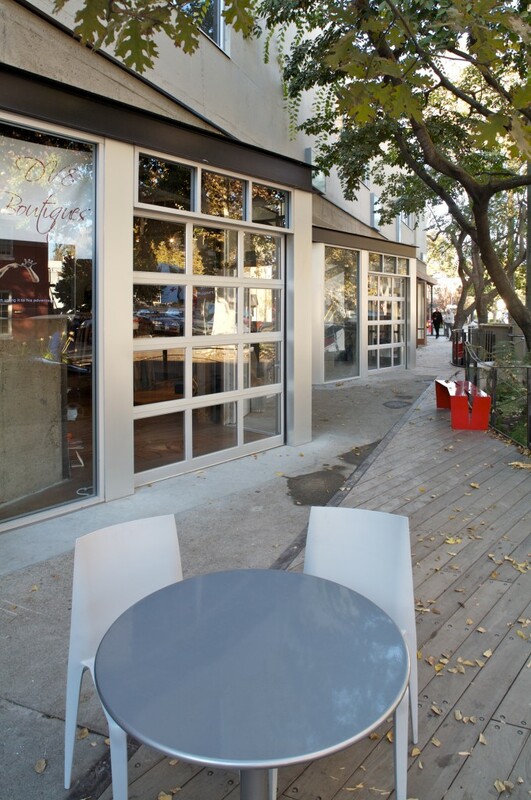 Open air retail tenant spaces are distinguished with industrial roll-up doors in a zig zag pattern, and outdoor cafe sidewalk space creates an interactive urban pedestrian experience. Public interior spaces have accent walls of lively colors and atypical finishes. 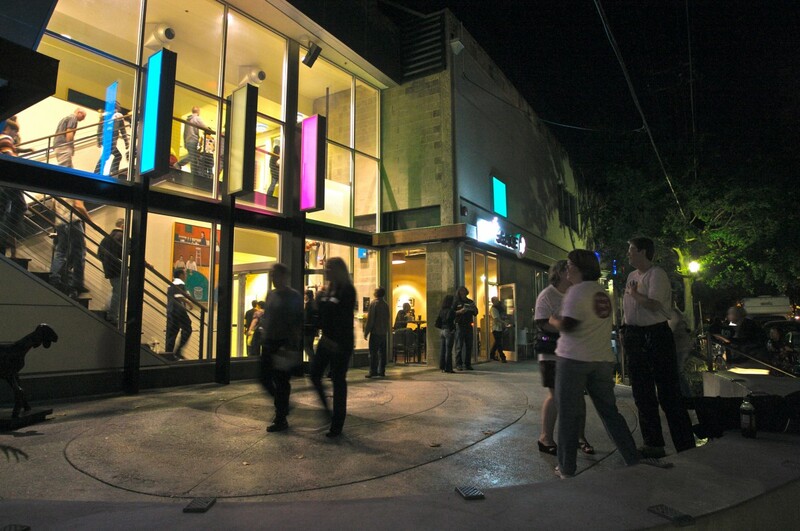 MARRS’s success cemented Midtown’s development resurgence; tenant spaces are 100% occupied. You can see the latest events at MARRS at http://marrs-sactown.com/.